First entering service in the 1980s, the twin-engine fighter plane was the U.S.'s first strike fighter  an aircraft capable of attacking both ground and aerial targets. It has seen action in Operation Desert Storm and as the aircraft of the Navy's Blue Angels Flight Demonstration Squadron. 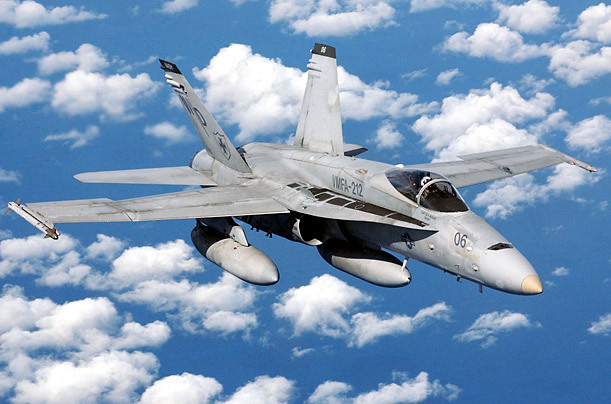 The F/A-18 is also used by Canada, Australia, Finland, Kuwait, Malaysia, Spain and Switzerland.